When I mention there’s a Failure Fetish, which is unhelpfully skewing the way we talk about and teach improvisation, fans of Celebrating Mistakes look affronted, as if there is no such thing. They ask where is the evidence for this focus on failure, either in public discussion or in our own specialist forums. 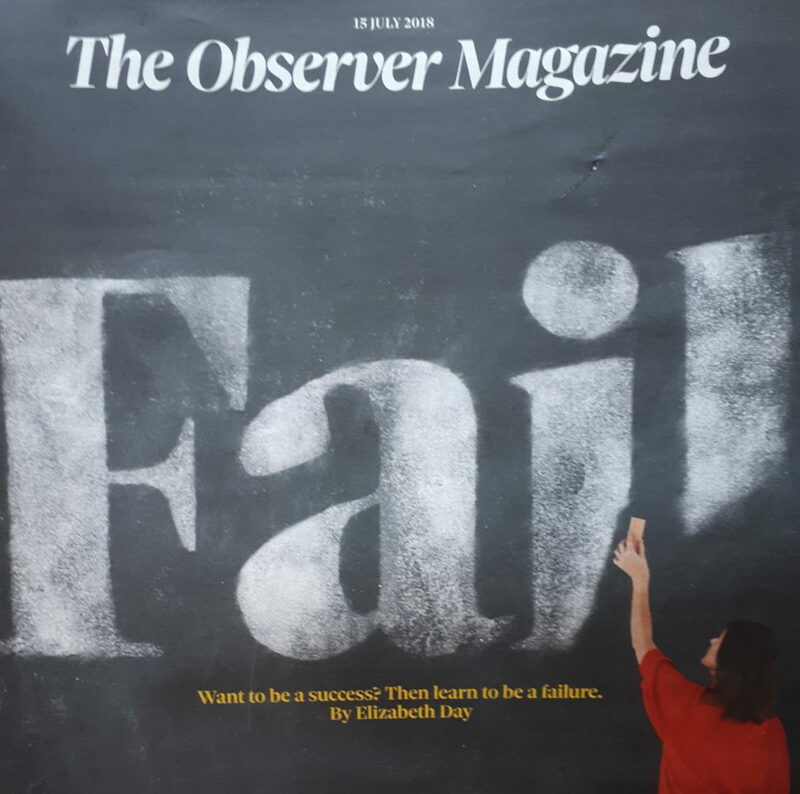 While I have admittedly not counted all the instances of success and failure, mistakes and getting-things-right being mentioned or featured in articles, websites and workshops, this recent issue of the Observer magazine makes the case. It’s a popular and respected British newspaper, and what it says here stands for many examples of failure being promoted. And the article inside is also exemplary, in the sense that it trots out the same old arguments and completely misses most of the points that are worth making about success and failure. Author Elizabeth Day’s first example is of her writing a best-selling novel after her earlier books had disappointing receptions. To me that’s not an example of failure, but of failure followed by success. Examples of failure followed by success are generally illustrative of resilience. Most failure does not lead to resilience in this way. Hers are special cases, different from pure failure, or failure on its own. And it is possible that there is a character-building element in this selected transition from failure to success. But it’s equally possible that there is a character-destroying element in failures which happen not to be redeemed by subsequent success. The over-publicised examples of some people deriving life-lessons from their experiences of failure are, I suspect, of little consolation to those who experience failure which is not followed by success. To stay within the realms of Day’s example, what about the thousands of writers who never get their books published at all, or who never reach the sales levels of which they dream. They would gladly exchange all of this failure for a small success, and damn the character-building aspects of the failure part. It doesn’t matter how many examples you cite of people succeeding after failing. None of those tell us about the people who failed and did not subsequently succeed. So if you want to generalise about failure, you need to address both of those camps. Day also makes the other usual point about ‘learning from failure’ – that is the learning beyond the character-building element, what we might call the ‘how to do things’ part. We can all agree that failures contain information about how not to do things. By definition, the way they were done on that occasion failed. 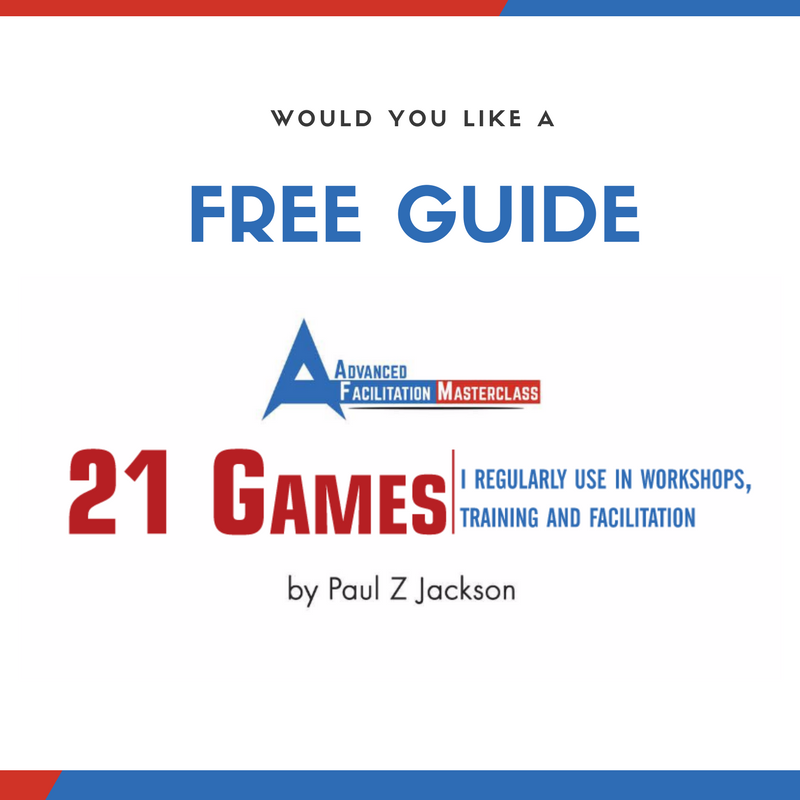 All that means is that the task needs to be done a different way next time, but the nature and specific elements of the failed attempts do not tell you how to make successful attempts. Only in rare binary settings, is there a simple ‘if not that, then this’. You discover the essential part of a successful attempt by looking at what was different when you succeeded. And that applies whether you succeeded first time or after one or more failures. In other words, you do not logically need the failure in order to experience the success – although of course life is often like that. We learn from success – and those lessons can be learned without reference to a failure. We can learn in a particularly pointed way by noticing what’s different between instances of failure and instances of success (this is sometimes called the trail and error method, I think), and by implementing the differences that will lead to elimination of failure and increase of success. At the end of her article, Day writes about ‘letting go’, which happens to be one of my improvisation principles (the ‘L’ in ‘LIFEPASS). She acknowledges particularly the value of letting go of a plan that is no longer working. I welcome her recognition of such an improvisational approach to an uncertain and emergent life, in which the point (perhaps) is to learn from and respond to all of our experiences, without privileging failure as a topic of a conversation or a workshop or as a flashy eye-catching magazine cover.